As we discussed in Core Training: Start Here, proper core training can be the key to preventing pregnancy pains, facilitating an easier labor, expediting your postpartum recovery, and even creating a healthier fetal growth environment for your little one. However, doing the wrong things could actually increase your risk of experiencing pains or injuries like Diastasis Recti or Pelvic Floor Dysfunction. Learn the movements you’ll want to avoid or regress during the later stages of pregnancy and early postpartum period. 1. Spinal Flexion: Movements that cause rounding of the spine (like the obvious sit-ups and crunches). 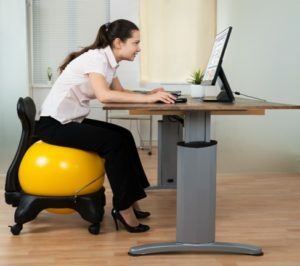 It also include things like bending over improperly by rounding at your spine instead of hinging at your hips and maintaining a neutral spine on the way down. 2. Spinal extension: Movements in the opposite direction from above also create excess pressure, like back-bends or even full upward dog positions in yoga. 4. Rotation with flexion or extension (twisting): OK this one deserves some clarification because not all rotation movements are bad. Rotation is a fundamental movement pattern, and as humans, our bodies need to rotate. So, let’s clarify what rotation is good, and what should be avoided. Rotation with hips and shoulders in line is GOOD. Rotation with disassociation of hips and shoulders (think bicycles) should be AVOIDED. Watch the video below, which explains this concept a bit more and provides some sample good and bad movements. Or, better yet, performing them on an incline to add in some glute activation. For many women, at some point in late pregnancy and early postpartum, all plank variations may have to be completely avoided. Always watch the belly for signs of “bulging” (last point) as a key indicator of whether the movement is appropriate or not. 7. 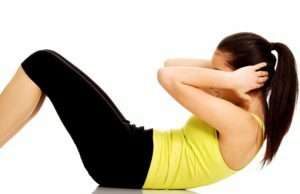 Advanced Back-Lying Core Exercises: You may have heard the guidance that once you develop an obvious belly, you should avoid movements lying still and flat on your back. This stems from the concern that the weight of the uterus could compress the main blood vessel that carries blood to the heart and therefore restrict blood flow to the fetus. This was more of a concern in the past than it is now. Today we know this is really only a concern for long periods lying still and flat on your back (like 8 hours sleeping at night), and even then your body will wake you up if there is an issue (which you can easily resolve by simply rolling to your side). While we still advise being conservative, and avoiding most movements lying still and flat on your back, that is NOT the primary reason we recommend avoiding movements like the hollow body hold below (or other movements like leg lifts, v-sits, etc). These movements should be avoided because of the sheer amount of pressure they place on the outer core muscles — with a pregnant belly or a weak deep core postpartum. 8. Any movement that causes “bulging” or leakage: If you ever perform a movement and notice a torpedo-like protrusion down the center of your abdomen (like the image below), this is a sign of diastasis recti, and a key signal the movement is not appropriate. In the image below, the bulging you see is the woman’s abdominal contents protruding through her separation. Similarly, if you perform a movement and you experience accidental urine leakage, this is also a sign the movement is not appropriate, as it’s indicative of a compromised pelvic floor (the “floor of your core”). Now that you understand what NOT to do, be sure you understand what you should be doing. Begin by learning how to properly activate your deep core muscles. This technique is essential for pregnancy training and postpartum recovery. Once you’ve mastered this, you can move onto these beneficial core movements. Still unsure? If you’re in the New York City area, try working with one of our expert Personal Trainers or attending one of our Classes.